Thanks to Everyone that helped out with our 7th Annual Poker Run this past June (2014). 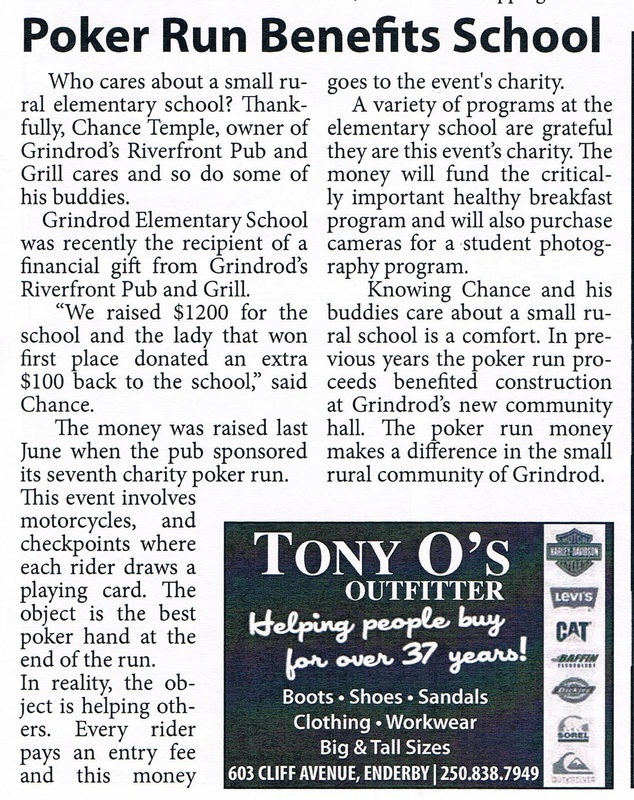 Because of you we were able to raise $1300 for the Grindrod Elementary School. 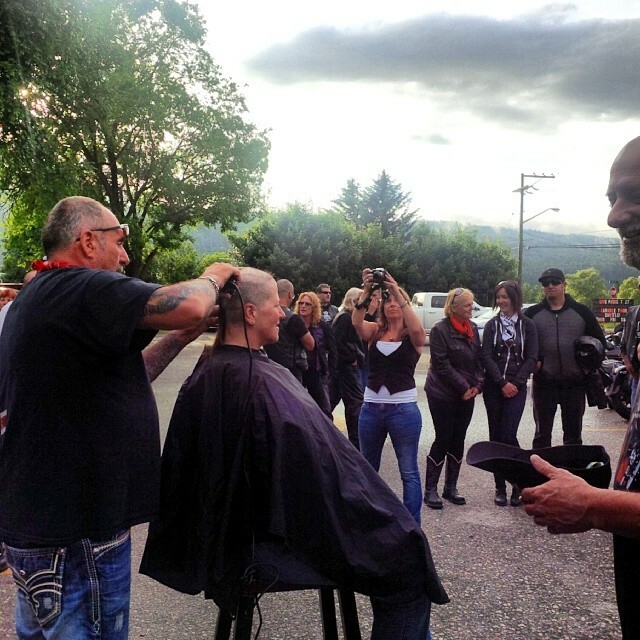 this girl shaved her head and raised another $900 for "Wigs For Kids" ! Was a Great Day with a lot of Great People!